It’s almost always more interesting to see a film divide audiences than it is to see a film either adored by most or hated by most, but what is even more interesting is when you go into a film that many have warned you not to see… and end up loving it. Here are ten great movies that many disliked, either at the time of release or even a general dislike that remains to this day. Spike Lee’s Bamboozled is one of the most astonishing films ever made. There is just no way to explain just how far this film goes in exploring the representations of race in mainstream media, and it’s even harder to explain the plot, which may sound even weirder than it is. Bamboozled follows Pierre Delacroix, a TV writer with a wonderfully odd accent that is never explained, who, in an attempt to get himself fired after a colleague experiences a tragedy, tries to write the most offensive show ever… one that is bound to see him fired. 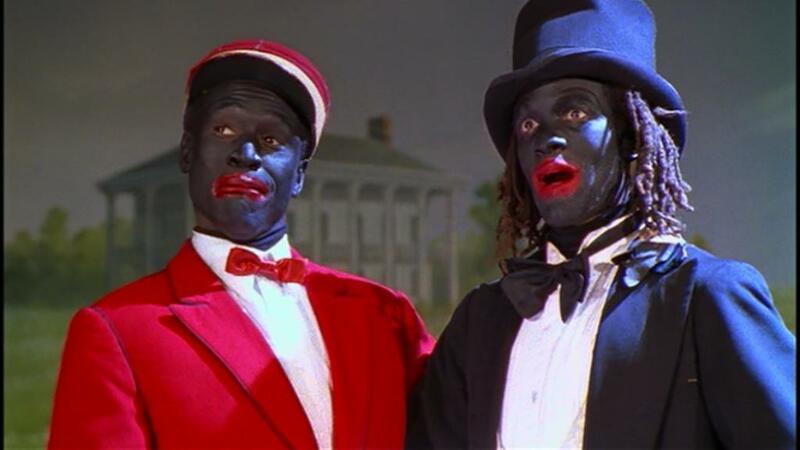 Pierre writes a blackface minstrel comedy, in which African Americans are represented as complete idiots, and it’s all wonderfully tongue in cheeky and furious under the surface, as we’ve all come to expect from Spike Lee. What really cements the film as one of Lee’s greatest is the finale, which continues to fly down this bizarre, satirical rabbit hole, eventually digging itself into a corner, and ending with a long sequence of clips from all kinds of other movies that have been released since The Birth Of A Nation, showing how the representations of race in mainstream American entertainment really hasn’t changed as much as we think since D.W. Griffith’s 1915 film was released. Bamboozled is also Spike’s first time playing with digital filmmaking, and so, he enjoys making it even more bizarre than it already is, adding in many musical scenes, and generally going so far that he was bound to alienate the audience and split them down the middle. Bamboozled flopped commercially, only getting back $20 million of its $100 million budget, which is a shame, as is the critical panning it received, but Bamboozled is still a film that is wildly impressive, and it’s worth a look for anyone – even if you don’t like it, you’re bound to find it interesting, and it’s bound to make you think. Okay, so maybe this one is assessed harshly due to the fact that it’s a remake of a beloved 70s film (that shares the same title), however, that’s no reason to say that this film isn’t terrific. The Taking Of Pelham 1 2 3, released in 2009 and directed by Tony Scott, is one of the more interesting recent American remakes, taking the original, modernising it and, due to a director as stylistic as Tony Scott being sat in the director’s chair, completely switches up the style of the movie. Watching Scott’s version back to back with the original is one of the most interesting double bills you could ever do, with the original being quite restricted and simplistic, reminiscent of William Friedkin’s The French Connection (1971), and Scott’s remake is one of the most stylistically aggressive films of recent memory (what did you expect? It’s Tony Scott, after all). Scott’s version has a ridiculously breakneck fast pace to it, with not a second going to waste, the film being held together by great performances from both Denzel Washington and John Travolta, and much of the power of the film also stems from the clever structure that it has, starting out as completely normally and gradually devolving into chaos, with the finale being so chaotic and sprawling that it’s… kind of incredible. Scott’s form manages to keep up with this, too, gradually growing sharper, with the cuts growing quicker and the dialogue growing quippier as the pace continues to pick up. It’s an incredible feat watching a director as interesting as Scott play off this balancing act of film form so well, and for that reason alone, The Taking Of Pelham 1 2 3 deserves to be reconsidered, not on the merit of how well it sticks to the original, as from the opening sequence, one that blasts Jay-Z’s 99 Problems, Scott makes it clear that he wants to do his own thing, and before you’re even five minutes into the film, you’ll know that he will do his own thing. Harmony Korine is a strange filmmaker, and a director who is consistently very hard to pin down and try to understand. Gummo is… interesting, no matter how you see it, but Spring Breakers is the film where Korine’s style really comes together. The film is admittedly quite hard to get behind, with James Franco’s bizarre performance and the style which gradually grows stranger and stranger, opening with what seems to be a simple modern American crime story and ends up becoming a harshly editing, strangely comical farce with a relevant message about the way that Americans think. The acting is amazing, especially from Franco, the cinematography is stunning and there’s just no forgetting many parts of this movie, especially James Franco whispering Spring Break over and over again. It’s a baffling film at first, but by looking into it more, it reveals itself as one of the most brutally honest views of modern American society. Brian De Palma is mostly recognised for his films largely inspired by Hitchcock, made in the 1980s, as opposed to anything else. Many seem to think that since the 1980s, he has failed to make anything of real worth, with even the most liked of his films since then only getting a lukewarm critical reception. Snake Eyes, released in 1998 and starring the wonderfully energetic Nicolas Cage is one of the most energetic films of the 1990s. 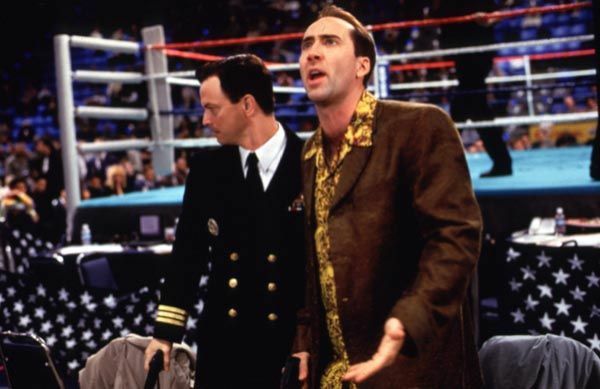 Taking a page from Robert Altman’s book, De Palma opens with a 20 minute Steadycam shot (there are hidden cuts, but there is still a 12 minute shot in there with no cutting), thrusting us into the world of Nick Cage’s corrupt cop work, as we watch him run around doing small jobs around the boxing ring, not only a perfect introduction to the character, but also an excellent introduction to the setting (the entire film takes place in the same building) and tone, capturing the ruthless energy of the film. Sure, the plot twist is a little predictable, and Nick Cage’s leading crooked cop isn’t the most likeable protagonist in the world, but Snake Eyes remains a formally impressive, wonderfully fast paced film that stands out as one of the most underrated from Brian De Palma. Many of Clint Eastwood’s movies get a lot of hate, and it’s always difficult to really understand why. The man is so focused on looking at the past, trying to mend it, feeling apologetic for his own doings, and the doings of the film industry as a whole, with High Plains Drifter working against the Sergio Leone western trilogy from a decade before, and the recently released The Mule seeming intent on looking into Eastwood’s own past in an attempt to fix it, even if only in his own mind. 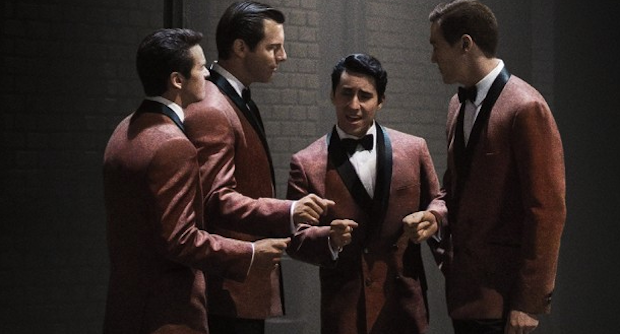 Jersey Boys is a film that looks into the rise and fall of the band The Four Seasons, who rose to fame in the 1960s, and soon fell out of it again due to various problems with the band. 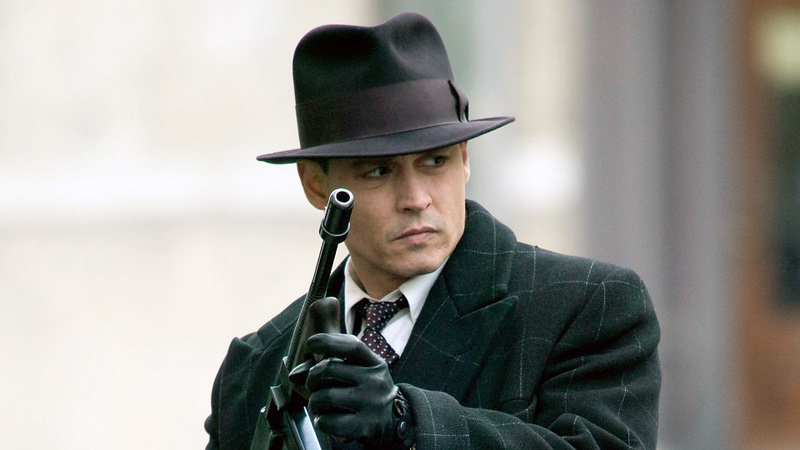 The opening half of the film seems like nothing more than a typical biopic, even if it is a slick one, however, the second half introduces so many different moments that add to the stakes that the film quickly becomes one of the most exciting, and upsetting of recent memory as far as musical biopics are concerned. The film is gorgeously shot, wonderfully acted by a mostly unrecognisable cast and so well paced that it flies by despite the 130 minute runtime. It’s one of the many overlooked Clint Eastwood movies, do give it a watch.